Posted on December 13, 2017	by Rachel L.
Properly handling and disposing of hazardous waste is essential, for the safety of employees and the environment alike. When companies create hazardous waste – on a large or small-scale – they must handle it correctly. Hazardous waste can be an inescapable part of some industries. Whether companies produce these potentially dangerous chemicals in large or small amounts, their handling and disposal practices must meet high standards. From the possibility of regulatory action and fines to the potential reputation damage that comes with improper hazardous waste management, it’s clear that organizations can’t skimp on how they store, transport, handle and dispose of chemicals. The following are a few of the considerations surrounding hazardous-waste-generating workplaces, including the rules companies have to obey and the possible consequences of improper handling. Training programs are required in many environments and can prepare employees to better manage potentially dangerous substances. There are really two different sets of conditions affecting any workplace that generates or handles hazardous waste. During normal, everyday operations, there is some chance of contamination, and there must be practices to minimize and counter that possibility. When an emergency occurs, the danger may increase, calling for specialized responses. The Occupational Safety & Health Administration’s (OSHA) hazardous waste operations standards cover both of those circumstances. OSHA rules begin by specifying that construction sites have different regulations to obey compared to general, permanent workplaces that deal with hazardous waste. Training makes up a major component of the rules, affecting both everyday operations and emergency responses. Workers can limit their own risk of exposure to hazardous chemicals if they learn up-to-date and accurate practices. If not, employers put their team members at undue risk and risk falling afoul of regulations. Businesses need to always know their level of exposure to hazardous waste and keep that amount as low as possible. Furthermore, companies must not begin operations involving these chemicals until they have complete decontamination and response plans sketched out for their workers to follow. Everyone working at a site that has a reasonable chance of putting them in contact with hazardous waste must receive the relevant training and understand how to handle any dangerous situations that occur. The amount of mandated learning is determined by an individual’s duties and responsibilities. Professionals who will be called on to work with uncontrolled waste must have more training than those who deal with treating, storing or disposing of hazardous waste in the course of their normal duties at a licensed facility. Then there are responders who deal with spills and contamination “in the wild.” These individuals’ requirements vary based on their duties, and there are five roles within the big tent of emergency response operators. 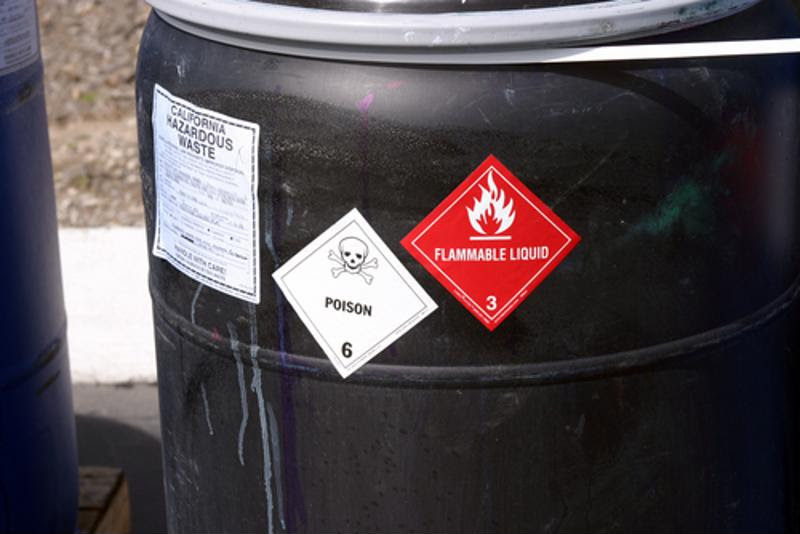 Labeling, transportation, storage, disposal – these are all elements of hazardous waste handling. Improper handling and disposal of hazardous substances is a major point of focus for government agencies such as OSHA and the Environmental Protection Agency. Organizations dealing with substances that can harm people or cause damage to nature have to carefully consider whether they’re operating within the rules. New York news station WKTV recently revealed one such incident, in which an aviation company experienced a $40,000 fine and was ordered to give emergency response training to its workers. The problem in this case involved using a trash compactor to process chromium waste. This type of waste is potentially harmful and requires special labeling on compactors that store it – the company didn’t get the right labeling, and must now pay. The news provider noted that the chromium, part of old airplane paint, was present in 23 times the amount allowed without labeling. California Environmental Law revealed that a large retail chain was ordered to pay even more for its own failed disposal efforts. The total price tag reached $1.125 million, notably high considering the fact that retail and hazardous waste aren’t usually mentioned in the same breath. The source explained that from automotive fluids to substances that could corrode surfaces or catch fire, the company had disposed of potentially dangerous items at landfills not allowed to accept hazardous waste. Keeping team members safe at work is vital, as is protecting the environment and the public as whole. Proper disposal of hazardous waste materials, while meeting and exceeding all relevant regulations, will naturally involve a significant training component. Since companies’ requirements differ so much from one industry to the next, it makes sense that the relevant courses are broken down by subject matter. Large Quantity Generators: Some companies produce a lot of hazardous waste from their manufacturing or other industrial processes. Courses that brief employees on everyday risk minimization and emergency response can specifically address the risks of working at such a site. Small Quantity Generators: Not every business with the potential to generate hazardous substances does so often, or in large amounts. This doesn’t mean supervisors can afford to skimp on training, however. They must simply find courses to suit their operations. Universal Waste: As the retail example above proved, companies don’t have to be massive chemical plants to generate hazardous waste. Some everyday items such as batteries, fluorescent or CFL light bulbs, or anything with mercury can be a hazard if disposed of incorrectly. Courses aimed at these normal goods are a part of the waste disposal picture. This entry was posted in OSHA, Workplace Health and Safety and tagged compliance, hazardous waste management training, hazardous waste training, safety. Bookmark the permalink.